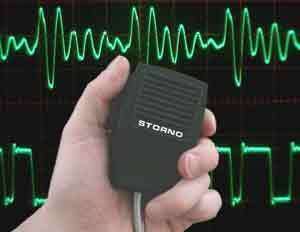 Storno was one of the early leaders in the field of Public and Private Mobile Radio (PMR) in the UK and Europe. This site documents the history of mobile radio telephone systems by tracing the developments of the Storno product range. One of the most requested new topics in the Storno visitor survey has now been added. Decode the Storno model numbering system to help identify the frequency range and channel spacing of old Storno equipment. Although cell phone technology took off during the eighties, the first public mobile phone system in the UK started in 1963. Check out the story of the earliest radio telephones. The capabilities of two-way Private Mobile Radio equipment (PMR) have been continuously advancing. Follow the evolution from the earliest valve sets through to microprocessor controlled trunked system technology. Visit the Storno community forum, join the discussions, comment in the feedback area or vote in the survey and you can influence the development and get the latest news about forthcoming articles and events. The thing about old technology is it just keeps on going. See some examples where Storno equipment is still going strong to this day.